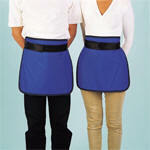 Lead Free Aprons, Lead Free Thyroid Collars, Lead protective Gloves. Radiation Shielding and protection for paediatric patients. Protective Shield for Mammary Gland, Ovarian, Thyroid, Sternum, Chest and Shoulder Areas. Quick and easy to put on, size adjustable for a comfortable fit. A complete set for Babies, Toddlers and Small Children. 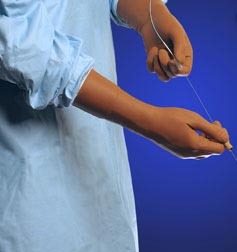 Attenuation gloves for Interventional Radiology, Cardiology and other areas where tactile sensitivity is required. Lead Protective Glasses. Lower back shields, Gonad & Ovarian shields. Please refer to our catalogue for more details.